This past weekend was our first go at SANESA as a yard. 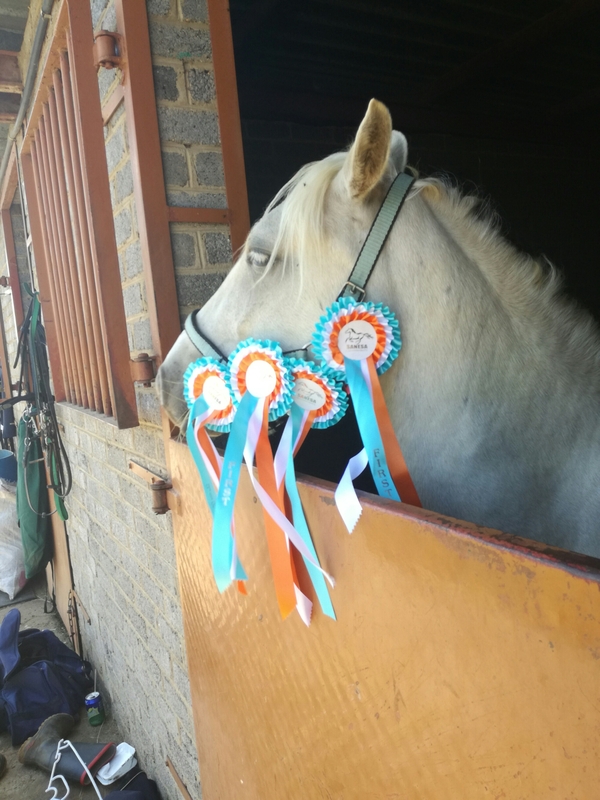 I coached a teenager through it last year, but she keeps her horse at home and knows what she’s doing, so this was a whole other kettle of fish – and I was riding two sale ponies myself. So it was a little hectic. Regrettably, I also have practically no pictures, so I’ll keep it short. Vastrap and his kid were fabulous in the 60cm showjumping, their first jumping show since his kid’s injury last year. VT was his superb self for a pole in the first class and a very poised 5th in the second. Since I threatened his kid with no-stirrups until she was 80 unless she kept it quiet and controlled, I am happy. We can now move on to adding some speed. Liana and her kid did not fare quite so well in the 50cm jumping. Ana herself was super, not having a single run-out all day, but they got a bit lost during the first class and then went beautifully in the second until the turn to the last fence, when the kid thought the pony would turn a bit sharper than she did and they parted ways. No harm was done (despite the best efforts of some less well-trained medics – I’m not the biggest fan of the venue where they had this qualifier), but it was a pity because I think they could have won it. Zorro and Z-kid had their ups and downs. 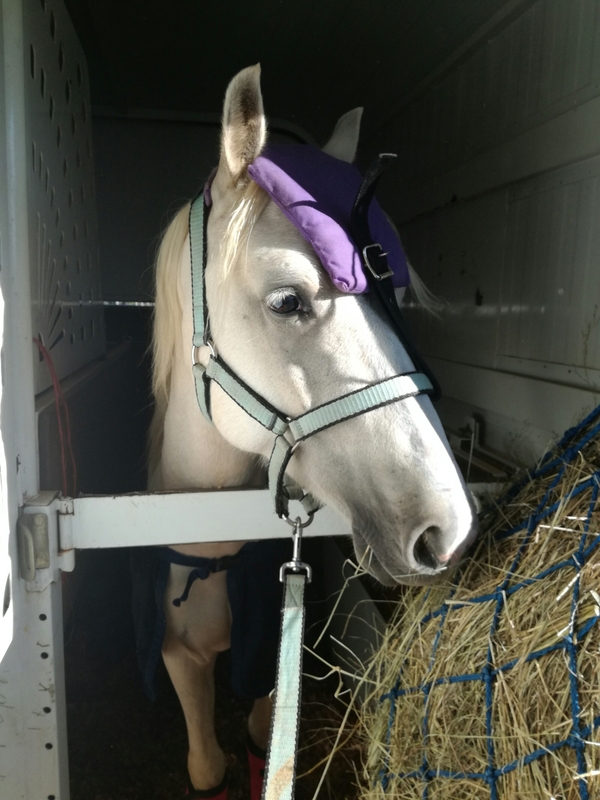 Zorro decided to be afraid of straw bales, the only thing that differentiated the working hunter course from the showjumping course, and got himself eliminated. 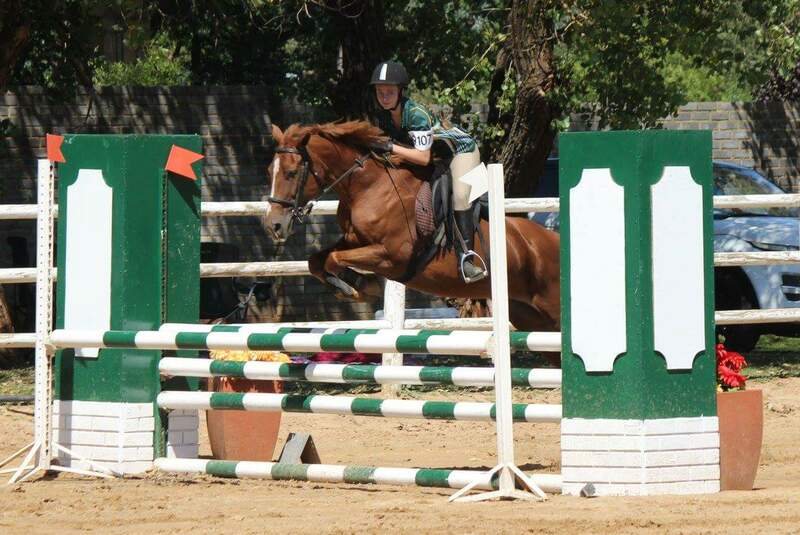 They came back strong for a third in the jumping despite his napping towards the gate. These two will be a force to be reckoned with once Zorro pulls up his socks and behaves. 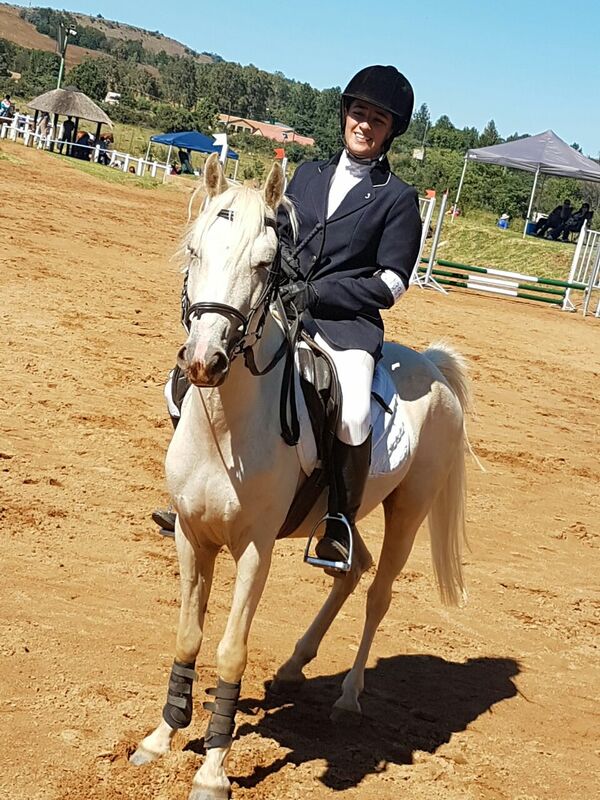 Outside lesson kid from last year on her fantastic mare Pennie had an unpromising start in the working hunter when Pennie threw in a stop; she had another stop and a pole in her first jumping class, but then got a hiding and started to make better life choices. Pennie jumped fabulously the second jumping class for an unlucky pole in the jump-off that landed them 4th, and then went on to win the equitation in fine style. Working student K and Renè were fantastic despite poor K having the sniffles. 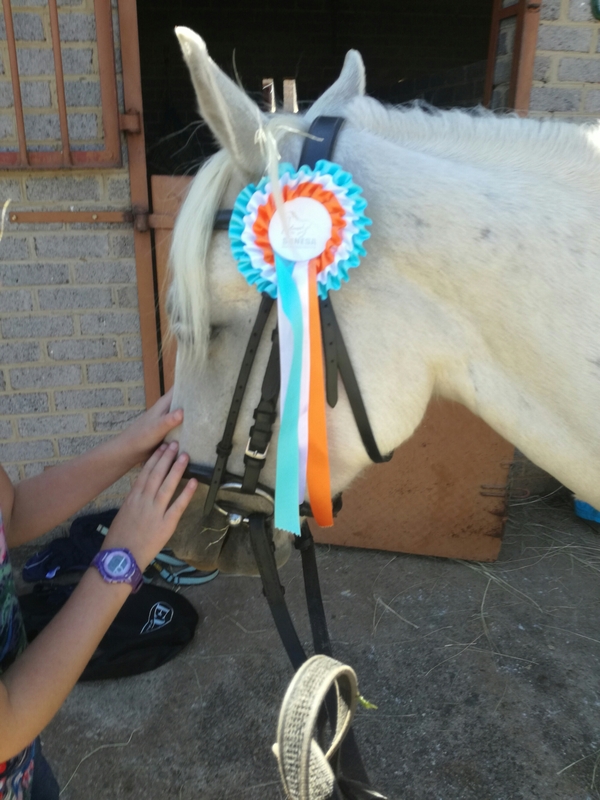 They won both classes (performance riding and working riding) and Renè was her usual admirable self. Sunè was also muchly admirable and won her working riding with a score of 81. This pony is amazing. Sadly I didn’t make it to my performance riding because I was coaching. Or not sadly. I’ve had it to the eyeballs with show riding for this month, thanks. Midas still had dressage and showjumping to do so we were still busy. 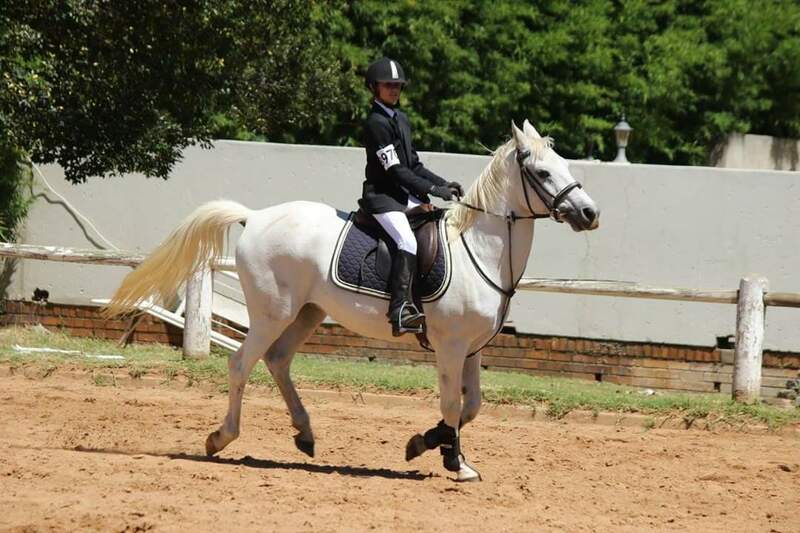 His dressage felt really good – he was shouting a bit but relaxed as long as he was moving, and had really great moments. I have no idea what we scored (see above re: not my favourite venue), but I liked how it felt. His showjumping was great. I have a penchant for entering POG or 40cm for a pony’s first jumping class for the simple reason that I can make them walk over it if they stop, but something possessed me to do the 60cm on this chap and he didn’t bat an eye. I overrode every fence mightily and he jumped them all with enthusiasm and a slightly injured air (like, geez lady, I’m jumping, relaxed). He had a green pole in each class, but I’m perfectly happy. He also rode in a two-berth for the first time when we hitched a lift with the Z-kid’s family, and I kinda want to say he didn’t load well, but basically what happened was he stopped at the ramp and a ten-year-old girl went behind him and slapped him on the bum and he went in, so I don’t think that qualifies. A busy show but our God went before us. Glory to the King.